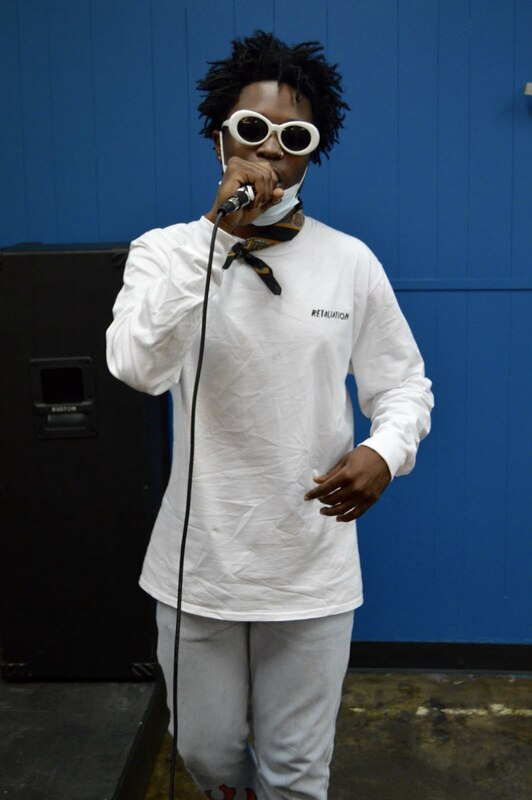 Shuttlecock hosted a free rap show at Mills Record Company on Friday night. Samurai is moving out of town soon, but left Kansas City grinning and bouncing along to his outrageously fun trap tunes one last time. J-Tone opted to use his time to premiere three unreleased songs that will certainly be popping up on this blog -- and hopefully others -- once released. The always-explicit Izzy opened his set with an impressive, lengthy freestyle and played a couple familiar favorites. Izzy and J-Tone were also joined by Star B to perform their new song "This Is." Plu$+ and his pal Hotboy Leon had an energetic set and put on an electric performance of their song "Watch The Ice," with Plu$+ at one point leaping from his perch atop a speaker. Antonio opened the show up with two cuts of smooth, down to Earth hip-hop.